Sparkling wine has been associated with celebrations since 496, when a Champenoise warlord named Clovis defeated the Romans, carving out a mini-state around Reims, one of Champagne’s principal cities. The wine served for that occasion was local. From that year forward, French kings and queens were coronated in Reims’ famous cathedral, toasting their future with wine from Champagne. As Champagne “expert” (that’s what I want to be! ), Richard Juhlin writes, the word Champagne “creates an air of effervescent expectation.” Something about those bubbles sets the tone—life is good, it is worth celebrating. That is why at Windham Wines we start our tastings with sparkling wine and, at home, we start evenings with friends with sparkling wine. How lucky to have friends with whom to spend an evening. It was not until we decided to open a wine shop that we became fans of sparkling wines. In retrospect, we think that is because most of the time when we were served sparkling wine, no real discernment had been involved with selecting the wine. If you drink bad sparkling, chances are very high that you won’t like it. If you think you don’t like it, why spend much? If you don’t spend much, it likely won’t taste good. It is a vicious cycle that deserves to be broken. Since Champagne has set the standard for all other sparkling wines, we’ll start there, then touch on more cost-effective alternatives to Champagne for larger celebrations like weddings. We echo Eric Asimov’s observation that $15-$25 is a sweet spot for wine—you can get beyond the bad and into the very, very tasty. We offer some suggestions below for helping you break the cycle of bad sparkling—don’t like it—don’t spend much—bad sparkling. What makes Champagne unique? As Pascal Leclerc-Briant, president of Champagne Leclerc-Briant until his death in 2010 quipped, “[f]irst, we have very bad weather. Second, we have our three grape varieties and chalky soil and all that. Thirdly, we have 330 pages of regulation.” (quoted in Peter Liam, Champagne). Indeed, the institute that regulates a sense of place in products throughout France, from wines to cheese and even lavender, has specified the place, grapes, and process for making Champagne. While many people use the term to apply to any wine that has bubbles, Champagne refers specifically to sparkling wine from a region just northwest of Paris. That region is famously defined by chalky soils that presumably impart a chalky minerality to the wines. Champagne is made from only a few varieties, principally Chardonnay, Pinot Noir and Meunier (though 4 other varieties are allowed, they constitute only .3% of the plantings in Champagne, Liam again) which are first made as individual still wines, i.e., the juice of the grapes brought in from the vineyards is fermented separately by variety, by vineyard and by lots within vineyards to produce a number of individual still wines. After the juice is made into individual wines, still wines are blended across grape varieties, across different vineyards, even across vintages (hence non-vintage) with the intention to produce a whole greater than the sum of its parts—more complex, more connected from initial entry to finish, to produce a balanced whole. Predicting how the wines will interact overtime makes blending an art. Once blended, the wines are bottled, then topped off with a mixture of sugar and wine that starts a second fermentation, this time inside the bottle, trapping the gas produced during fermentation in the bottle, which explodes into bubbles when uncapped. Brilliant idea! Within those 330 pages of regulations to which Leclerc-Briant referred is the requirement that the wines must age for at least 15 months after they are blended. During that time, the yeast cells that provoked fermentation break down and impart both flavors (bread, toast, brioche, caramel) and texture (creaminess) to the wine. Tiny bubbles, a sign of quality, is a product both of the length of time aging on the spent yeast cells (called lees) and the temperature of the cellar in which the wine was aged (Liam). Champagne remains more of a “special occasion” wine because of its price. You can get non-vintage Grande Marquée Champagnes from houses that make millions of bottles each year (like Moet and Chandon or Veuve Cliquet) for $35-$45. Much smaller producers who grow their own grapes and whose names are mostly unrecognized but whose wines are often more nuanced are likely to run from $45-$65 per bottle. Windham Wines has many (well, at least 8-9) of these “grower” champagnes. Mercifully, there are other good sparklings to sustain us. Other sparkling wines from France made in the Champenoise or Traditional method (secondary fermentation in the bottle) fall into the broad category, Crémant. There are Crémants from Burgundy, whose grapes are the same as those in Champagne, as well as from other parts of France using different grapes. Crémant from Alsace tend to be very flavorful and well-priced. Sparkling wine made from the grape Chenin Blanc, mainly from the Loire regions of Vouvray, Montlouis and Saumur, are delicious and can be found for $18-$25 per bottle. We’ve fallen for the Pinon, Vouvray, at $23.99 .We have also lately been impressed by sparkling wines from Limoux in the South of France, near Carcassone. Antech, at $16.99, makes sparkling a weekly possibility! Spain makes some terrific sparkling wines from three indigenous grapes—Xerel-lo, Macabeo and Parellada. These tend to be among the driest sparklings, with grapes that emphasize stony minerality rather than fruit. Not all Cavas are created equal. Well-made Cavas that extend the minimum aging requirement from 8 months to 18 months or more are among the best sparkling values out there. Conversely, we have found many of the lower-end, industrially-produced Cavas to be harsh, with giant bubbles that assault rather than caress, often coupled with an almost burning sensation upon swallowing. We never doubt that people don’t enjoy sparkling when these are what they know. Windham Wines customers are currently smitten by the Raventos I Blanc, L’Hereu, 2014, which runs $19.99 and the Gramona, La Cuvée, Gran Reserva, 2011, for $22.99. Wine from the northern Italian Veneto region north and west of Venice using the grape Glera is made sparkling by adding a sugar cane solution to a large, stainless steel pressure tank in which the second fermentation occurs. There is typically both less pressure and more residual sugar in Prosecco, More recently, we have noticed that more and more Proseccos are Extra Dry, which is sweeter than Brut. Most Prosecco is under $15 per bottle. 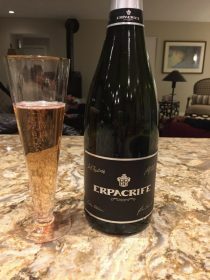 It makes a great sparkling for the farewell brunch the morning after a wedding, or for brunch anytime. Sparklings from Austria and Germany are called sekt. They can be made either via the Traditional/Champenoise method (secondary fermentation in the bottle) or in the tank method like Prosecco. Windham Wines has championed Austrian Sekts made by Steininger, Anton Bauer and Brundlmayer, all Méthode Champenoise. Our customers return for the Steininger, Reisling and Gruner Sekts, both $27.99. Leo Hillinger makes an affordable rosé sparkling from Pinot Noir using the tank-fermentation method; at $17.99, it is always welcome at weddings and any other gatherings of friends. South Africa’s Graham Beck Cape Classique, both regular and rosé, have been best sellers since we first tried them 10 years ago. They are made traditionally, with Chardonnay and Pinot Noir and, at only $17.99, drink well above that price. The Brut NV was selected to pour at Nelson Madela’s inauguration and when Obama accepted the Democratic nomination to run for President. Those are some pretty good bona fides! The US has some sparkling wines made in the Traditional Methode. New Mexico’s Gruet is widely available, affordable, and quaffable. Oregon makes some head-turners, especially rosé, including those by Argyle, Sotor and Rob Stuart, but then we are back up to $30-$50 per bottle. The world of sparkling wine is as vast as the world of wine in general. As much as we love Champagne, and even while we own a wine shop, we nonetheless cannot afford to drink Champagne each time we celebrate friendship. We have alternatives that make enjoying sparkling wine more frequently both affordable and delightful. A great resolution for 2018 is to explore this vast and delicious world, ideally with friends.